Way back in the dark, when Sony owned the VAIO brand of consumer laptops, I bought one and used it happily for several years. For its time, it was a great laptop; It was relatively light to carry and had a reasonably good display, a great keyboard, a responsive trackpad, and it lasted longer than expected. 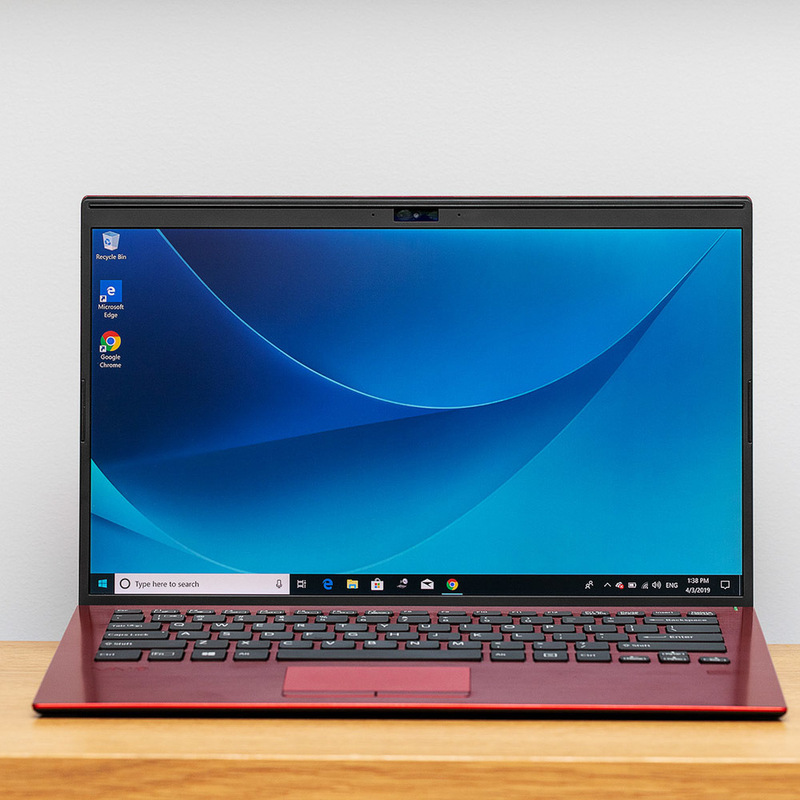 Sony sold off its VAIO brand in 2014, and the new owners have spun the brand out of what they obviously will be a line of business notebooks with the light weight and sleekness of a modern device. The company's latest 14-inch laptop, the VAIO SX14, is indeed thin and lightweight, with a reasonable keyboard and display. And with something else that few laptops today, even those aimed at business users, have: lots and lots of ports. When I say lots, I mean it. 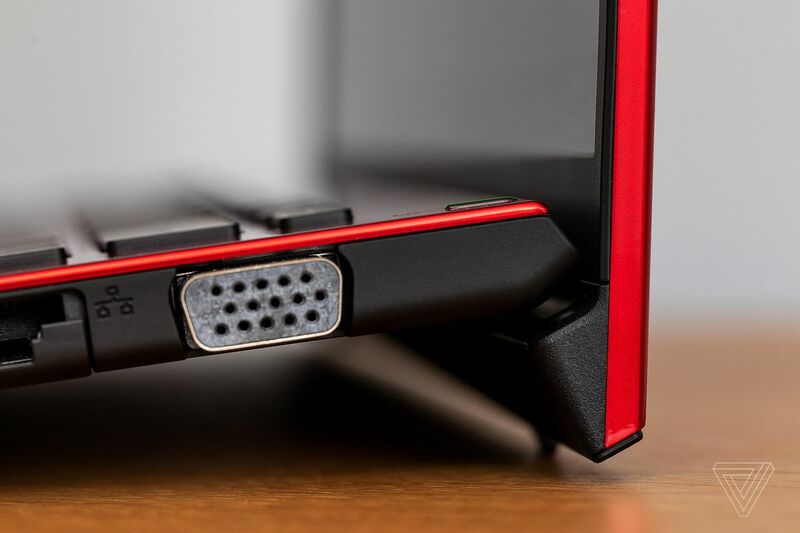 The VAIO SX14 is equipped with an SD card slot (standard size, thank you), a USB-A 3.1 port, two USB-A 3.0 ports, a USB-C 3.1 port (through which you can also charge the laptop, although not It is almost as fast as with its separate AC power port, an HDMI port, an Ethernet port, a VGA (yes, really!) port, and a headphone jack. You think that as a user, I would be grateful for all those separate ports, and I am. I had been happier with fewer USB 3.0 ports and additional USB-C ports that supported Thunderbolt 3 connections, but it's hard to complain with such and embarrassment of riches. And those ports could come in handy, depending on what you plan to use the laptop for. For example, I have a separate monitor at home, and when I wanted to use it with a detachable Windows 10 laptop, I had to buy a compatible docking station that I could use with the laptop's USB-C port. That was a problem with the VAIO SX14; it took just a moment to connect the monitor via the laptop's HDMI port. (If I didn't have to save HDMI cable, I probably could have found an old VGA cable in the base and used that.) In addition, in places where the Wi-Fi is wonky – a hotel room or Vox Media's New York office, for example – the Ethernet port could come in handy, even today. On the other hand, if you don't anticipate using a lot of attachments, then the fact that the VAIO SX14 is equipped with all those ports won Make it much of a difference in your life. 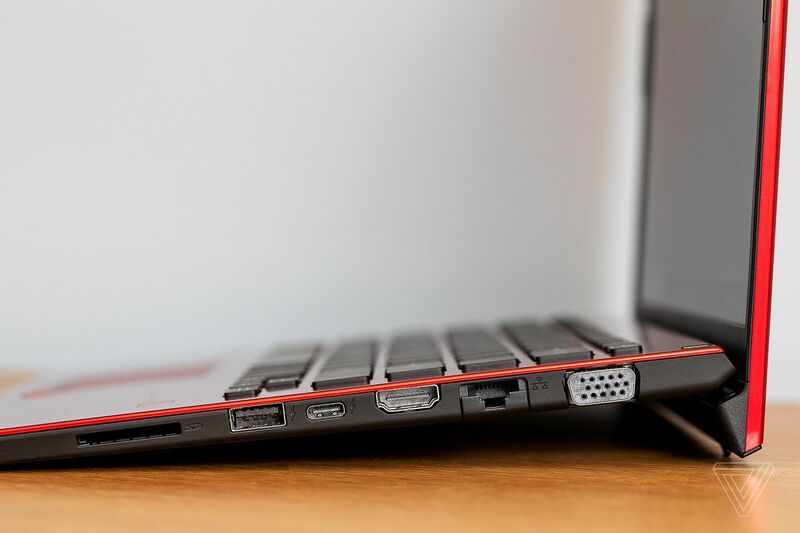 And despite the ports, the US version is strictly Wi-Fi – while the European version offers an integrated LTE option, which is surprising in a laptop being pushed as a business machine. 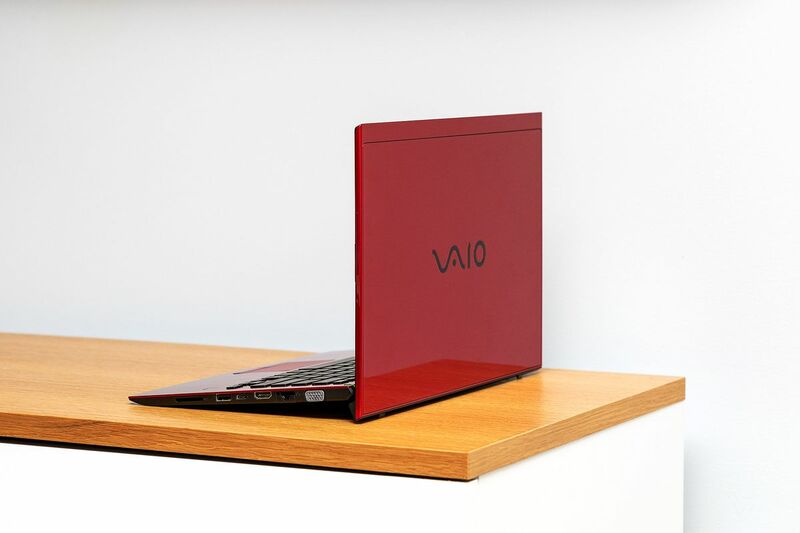 You are looking at the VAIO SX14 port and look at it as a whole, as a sleek, attractive laptop with a nice, brushed-aluminum surface. The laptop comes in four colors: black, brown, silver, and red; the last is a premium color that, according to the company, will only be available for a short while. The review unit was one of these premium units, which included an 8th Gen Intel Whiskey Lake Core i7 processor, 16GB of memory, a 4K display, and 1TB storage. This is fully priced at $ 2,299. But don't let the price scare you: as might be expected with a business computer, the VAIO SX14 has a variety of models, with varying configurations. It starts at $ 1,299 for a Core i5 processor, 8GB memory, a 1920 x 1080 LCD, and 256GB storage. There is no touchscreen option, so if you're looking for, you're out of luck. The VAIO SX14 has an interesting way of opening: the cover is a little longer than the keyboard section, so when you open the laptop, the cover pushes the keyboard up slightly so that it tilts at an angle. According to VAIO rep, this was designed to create a comfortable typing surface and for enhanced cooling (since there is airflow on the bottom of the system). While I was initially about that tilt, I had to admit that it wasn't unpleasant to type on. I was even more surprised when I found that it was reasonably comfortable when I used it on my lap, despite the edge of the cover sitting on my legs. And although I never noticed any untoward heat – the VAIO SX14 ran impressively cool – if it did heat up, the space between the stand and the bottom of the computer would have kept my knees from frying. I also found the backlit keyboard comfortable to type on; the keys have decent, if somewhat limited, travel and are reasonably quiet. However, the touchpad is something else. There's nothing wrong with how it works; it uses Microsoft's efficient Precision driver. But it is one of the smallest ever seen for quite some time, and is not even as wide as the keyboard's space bar. In fact, it is so small that you really need the separate left / right mouse buttons that line the bottom of the touchpad, and which click in an old-fashioned and not very pleasant way. 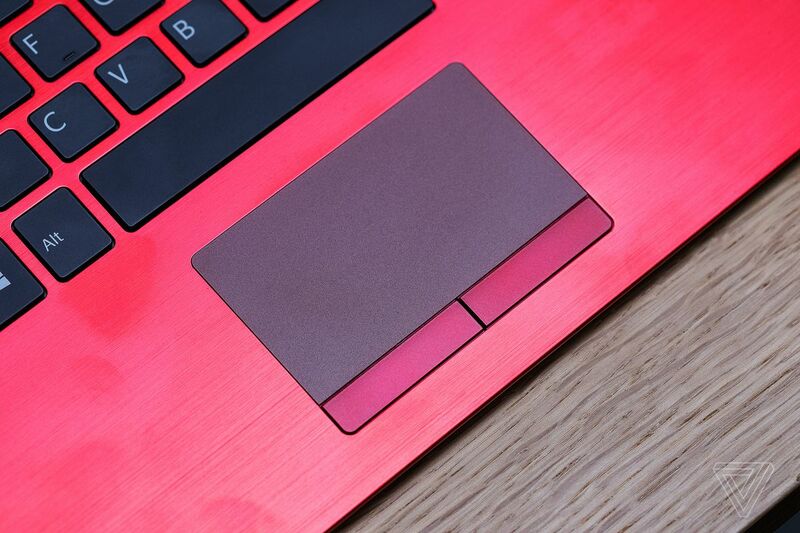 There is also a fingerprint scanner several inches to the right of the touchpad (which could make it inconvenient for lefties); The power button is a slim LED just above and to the right of the keyboard. The light weight of the VAIO SX14 is due, according to the company, to the uni-direction (UD) carbon fiber material that was used to build the body of the laptop. This is only a guarantee that 2.32 lbs, the laptop is extremely easy to carry around, but it is also amazingly – in fact, alarmingly – flexible. Both the top and bottom halves flex to a point where, when I played with it a bit, I became nervous that I was going to break something. 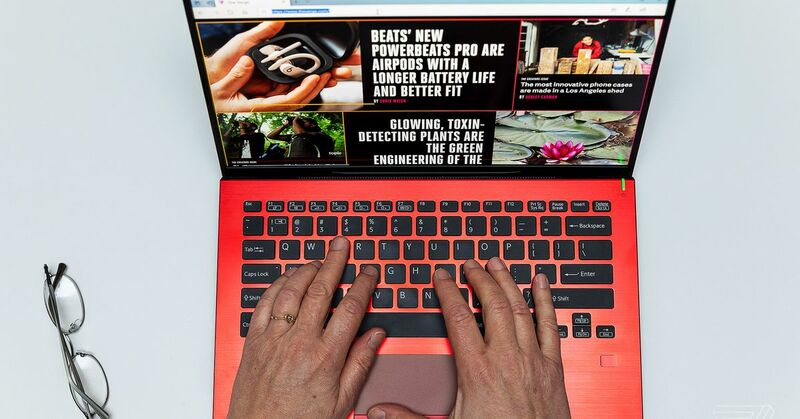 VAIO, however, claims that this is by design; in fact, it has a couple of videos online that show the top of the laptop being flexed by a robotic finger. You would think that something so profitable would feel cheap, but that's not the case here. When I was trying to test the flexibility of the case, it felt solid and reliable, with none of the wobbly sensation that you get with poor-quality parts or a less-than-desirable construction. Unfortunately, there is no IP rating for liquid or dust protection; according to the company, the keyboard is water-resistant for up to three minutes. I was very impressed with the battery life. According to the VAIO representative, the company does not release information on the battery, but claims a battery life or up to seven hours and 45 minutes. After a couple of weeks of use, I found that with reasonable use – including online web apps such as Gmail and Google Docs, an occasional YouTube video, and perhaps one or two 60-minute Netflix episodes – it lasted just under five hours. Which, for a business laptop that could be on a six-hour cross-country flight, isn't really adequate, or up to the standards of most higher-end laptops today. Performance, on the other hand, was quite satisfactory, as might be expected from a system equipped with the latest Core i7 processor. In short, the VAIO SX14 is a laptop which is rather evenly divided between positives and negatives: good performance, a very lightweight and stylish body, and a good display is offset by an awkwardly small touchpad and disappointing battery life. However, its star attraction is the impressive number of ports that it has available, which could be very useful for travelers who use a lot of connections and do not want to carry an extra dock around with them. If that's what you need – maybe there are still times when a VGA port can come in handy – you could have worse than the VAIO SX14. Vox Media has affiliate partnerships. These do not influence editorial content, though Vox Media may earn commissions for products purchased through affiliate links. For more information, see our ethics policy .